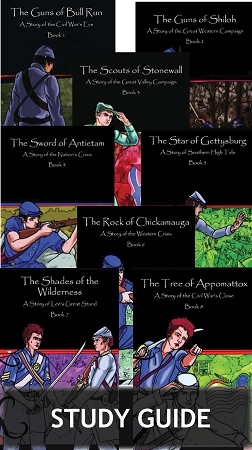 Study written to accompany the Civil War Series eight book set. Include a timeline of events, map of the battles, crossword puzzle, coloring pages, vocabulary quiz, historical notes, recipes, answer key and more. Download is in a pdf format.